Just some simple boxes that bounce. 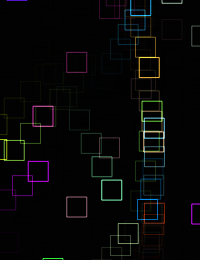 A very basic implementation of gravity in a particle system on HTML5 canvas. I cannot get this to work…I keep getting the errors that fillStyle and fillRect are not a function even though I have everything set up exactly as in this tutorial with html5 doctype and includes set up properly in index.html. I am a canvas n00b though, but I don’t understand why this works but mine doesn’t. What am I missing? Hey guys, sorry i did not include my twitter cuz i dont have one, im really glad that you guys loved the tutorial, i did not expect it to be actually published.